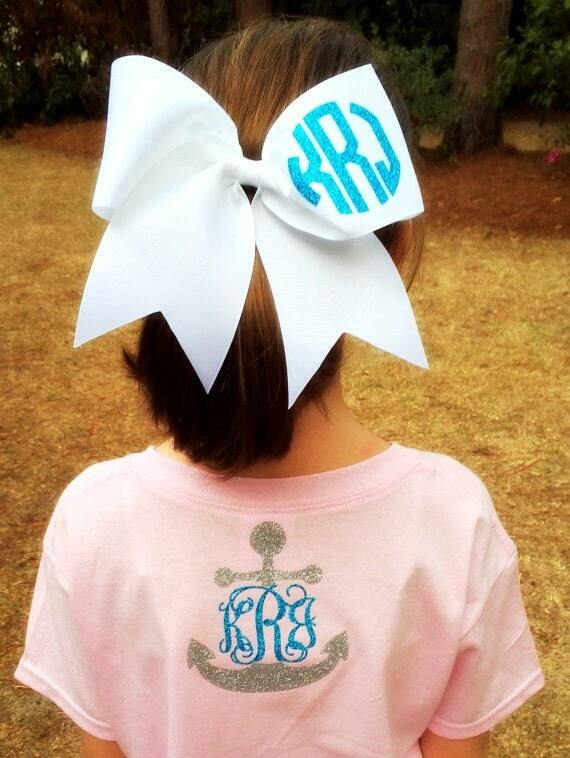 Monogrammed Cheer Bow. Perfect for cheerleaders of all ages, from high school cheerleaders, to competition cheer teams, to Professional Cheerleaders. 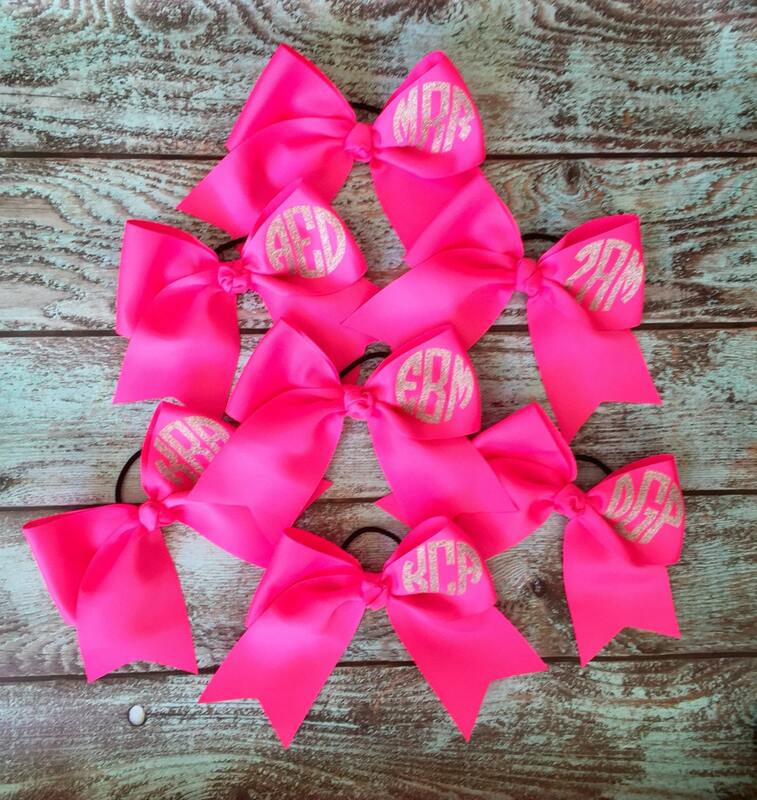 These bows are super popular for Cheer camp, Football games, and Cheer competitions. 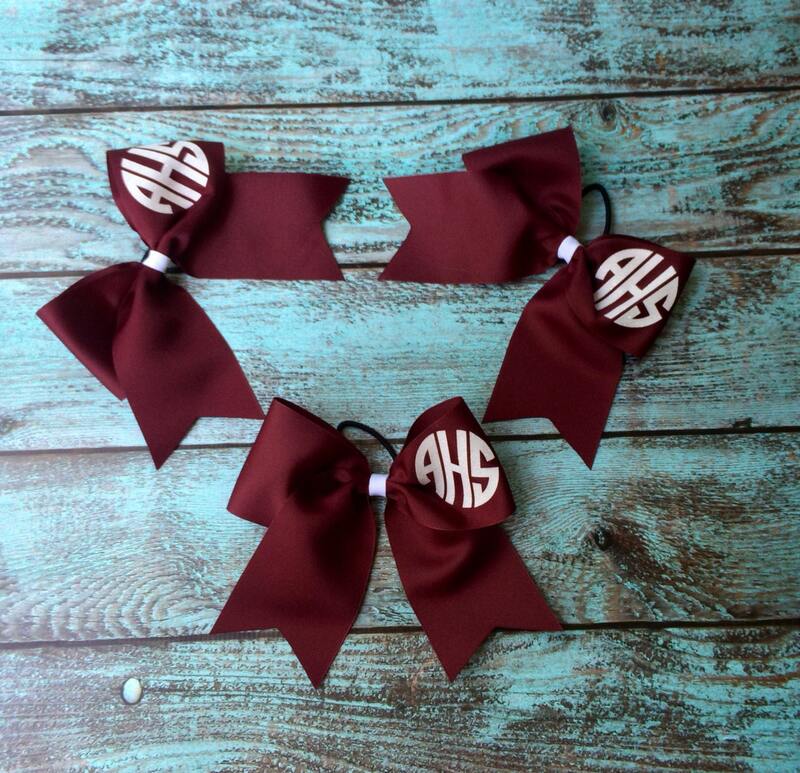 This big cheer bow will be monogrammed with any single, two initials, or three initials you choose! Use your school's Name, Your Name, or the Name of your Cheer team, Squad, or Gym. Bow measures 7", and is made of super wide 3" grosgrain ribbon - Customize by choosing the ribbon color and glitter or flat vinyl color of your choice! Your Monogram is professionally heat pressed with permanent heat transfer vinyl glitter or matte - so it's there to stay!! Choose your Monogram Font, and Bow Color option from the drop down menus, and leave in notes to seller the initials you'd like monogrammed, the glitter color for your monogram, and the hair attachment you'd like. We have three current available bow colors, If your group or team needs an alternate color, please contact me on orders of 8 or more. 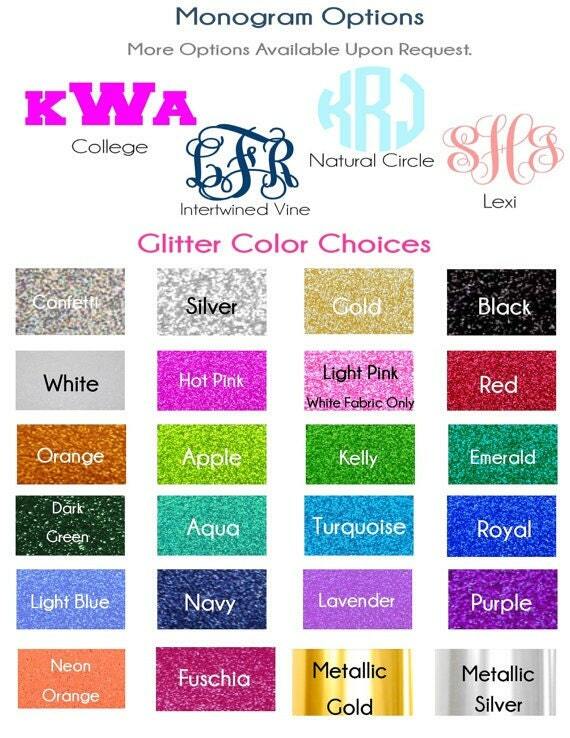 We also have 26 + glitter colors to choose from (see font + glitter color chart in listing photos) and several monogram font options. If you have a special request for a font, color, or something specific - please message me, and I'd be happy to work with you on your custom bows! Team Orders Welcome, We give team discounts! Please message me for coupon code! Please convo me for details on special team discounts and current promotions! All HAIR BOWS are handmade, and made to order especially for you at the time your order is placed, I'm the only Bow Maker here at Posh Princess Bowtique, so please be patient while waiting on your order to process and arrive! 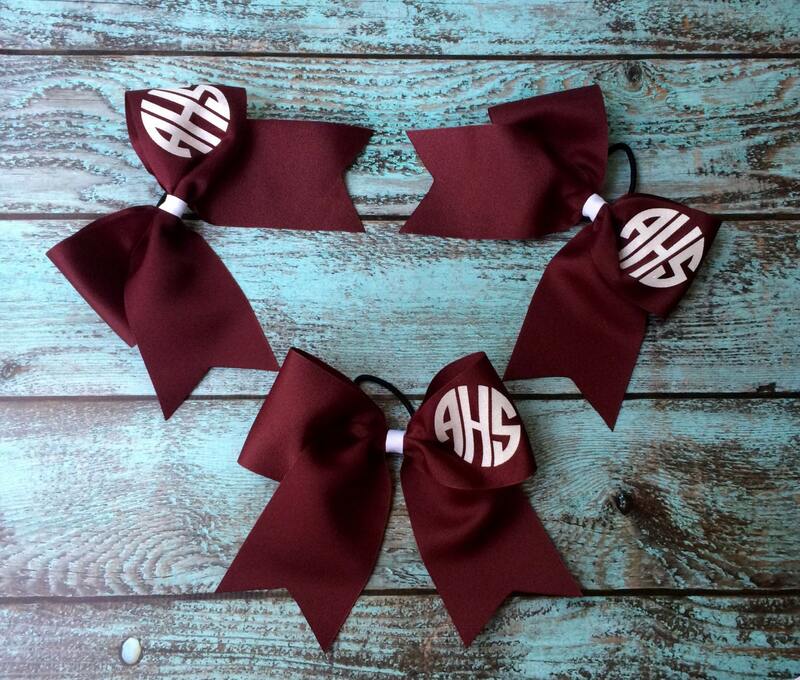 Super cute bow, but not as maroon color as it looked in the photos.